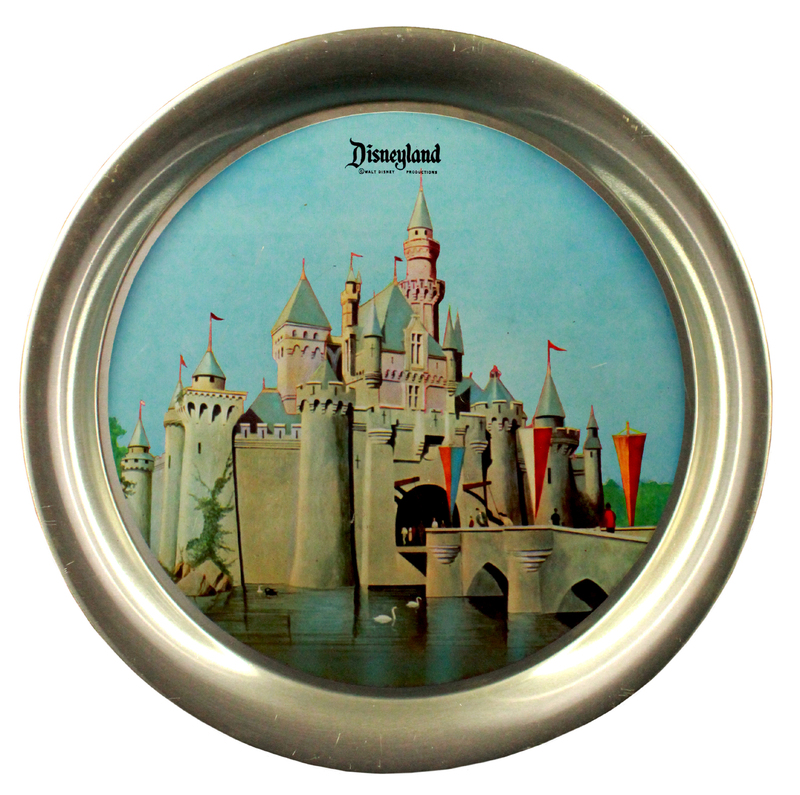 This is a vintage souvenir aluminum decorative tray that was sold at Disneyland in 1955. The tray features gorgeous full color imagery of Sleeping Beauty's castle in the center of the 11" x 11" tray. It is in very good condition.